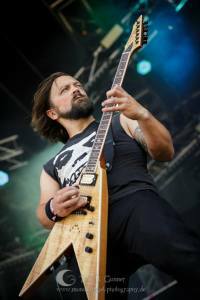 A disclaimer about the content of the interview and the lack of questions about the new Einherjer album: the questions were sent to Frode in April, 2014, but due to the fact that he was very busy, he only answered now, in the interviews season, that’s the reason why there aren’t questions directly regarding “Av Oss For Oss”. I deeply thank Frode for not forgetting this humble interview when I am aware that he has tons of interviews from famous magazines to answer. It is for me a great honour to interview a musician that I have been a fan for many years. A musician that his music was and is part of my life. I’d like to thank you very much for taking your time to answer this interview. I deeply appreciate this. Please, introduce yourself to our listeners. Hey all! 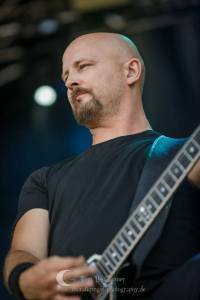 I’m Frode Glesnes, co-founder, vocalist, guitarist, songwriter and occasional bassist in Einherjer & bassist in Twilight Of The Gods. Our interview will cover the bands that you are still playing with, being Twilight of the Gods, Einherjer and Battered (although the latest is on hold). First of all, tell us how and why you started Twilight of the Gods and how it morphed from a Bathory tribute band to a band with your own identity and release? Was it hard to work with other metal legends? And the distance, as you live in different countries, how did you overcome this? Well, I didn’t start Twilight Of The Gods. Alan Averill from Primordial did. I was asked to join the band sometime during the winter 2010. I read somewhere that some guys were to do a tribute to Bathory and that the project was fronted by Alan. I think it was named Under The Runes at that time. It catched my interest because that was a thing I would like to see live my self. The next thing I knew, I got an email from Alan where he asked if I wanted to join. We did a serie of festivals summer 2010 and a 4 week tour later that year. We discovered that we shared the love for classic heavy metal and we grew up listen to the same bands. It would be stupid not to explore this further. 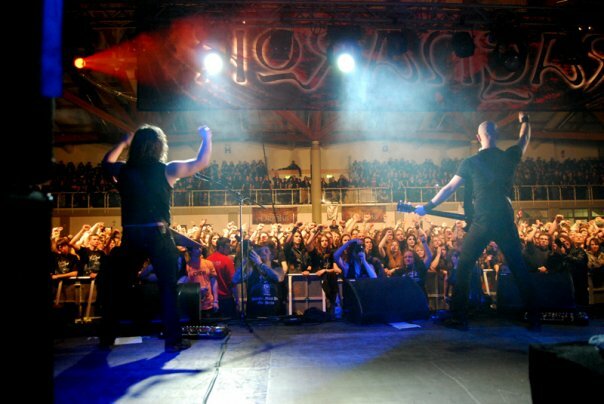 Another question about Twilight of the Gods, what are the main plans that you have for the future concerning this band? Do you see yourselves releasing another album? How about the tours and festivals planned for this year? Right now we are discussing the ifs, hows and whens concerning a second album. 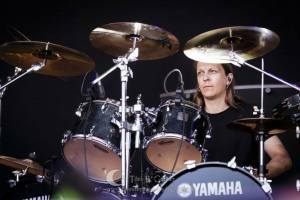 Both Einherjer and Primordial will release albums pretty soon, and Nick and Rune is also very busy with their bands and projects. So right now we need to see how we can accommodate everyone’s schedule. We did a few festivals this summer, but right now we don’t have anything planned except Maryland Deathfest next year. 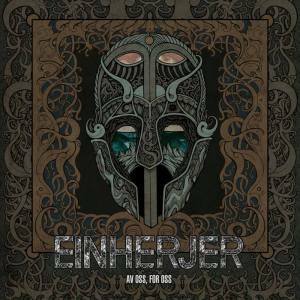 Einherjer was perhaps one of the first Viking Metal bands that I heard and still, to my heart, one of the best ones. Dreamstorm is a song that I listen every week (literally) since 1998 (the album was released in 1996, but I got to know Einherjer in 1998). Norwegian Native Art was the album of my life in the year 2000. I believe you can clearly see the love I have for this band. Norrøn was your last full-length release in 2011. Please, let us know when will we hear a new Einherjer album? And if you have any ideas about the album, is there something you can tell us without spoiling the “surprise”? As you probably have read online already we will release a new album 27th october, entitled “Av Oss, For Oss”. We’ve released a single/video “Nidstong” a few weeks ago and response has been really good. We are exploring new territory, or maybe more like expanding the borders, but we’re still very much rooted in the classic Einherjer style. 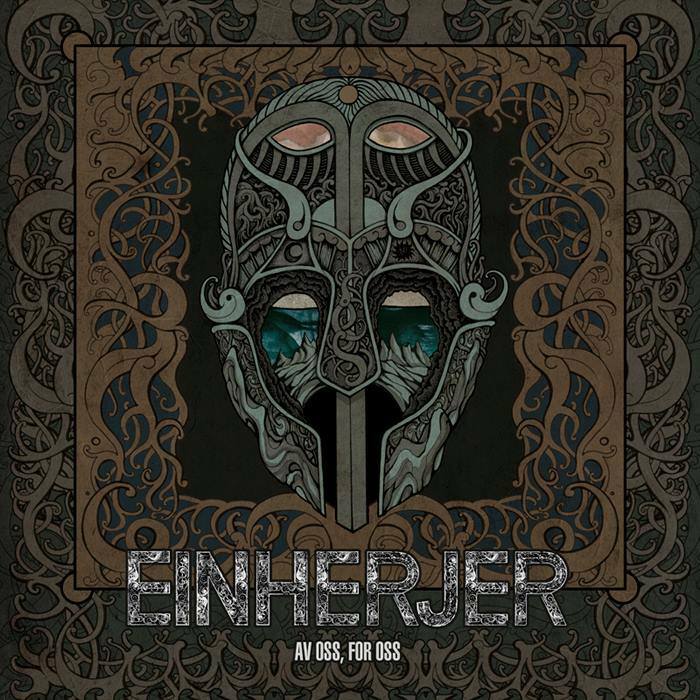 Still on the Einherjer topic, being aware that each album is different from one another, what would be the main differences between old and new Einherjer? And speaking of that, do you feel that it was intentioned to have each album with its own identity? And for a person that isn’t familiar with the band, which albums would you recommend to start with? Main difference besides the fact that we are 20 years older, and that we now actually know what we are doing? Well, I like to think that we serve better craftsmanship these days and we incorporate more elements from different influences. We always try to push the boundaries for what we see as the Einherjer framework and I think we’ve done that this time as well. We don’t follow any recipe, and we’re not copying anyone. I think each album demonstrates where we were at the time, and over the course of 20 years that will not be a straight line. In my opinion a good place to start would be with “Norrøn” or the new album. This is modern day Einherjer. This is what we sound like today. This is the sound you will get when seeing an Einherjer live show today. In my opinion also the best this band ever was! In your opinion, and, in a way, Einherjer related again, what do you think about bands that play Viking Metal (not only covers, but their own compositions), but have are from non-Viking countries? Do you believe that it doesn’t matter? The vikings were everywhere! Seriously though, they must be big fans of the genre of course, but I must say I find it a bit odd. This type of metal, or at least what we are doing, is very much rooted in history. Be it musically, or lyrically. It’s also very much about feelings. Roots. Who you are, where you’re coming from. I’m not saying bands should stop what they’re doing, it’s more like maybe they should look a bit more towards their own roots. Maybe they find something really interesting there. After Einherjer was put to sleep you started Battered, a Thrash Metal band with your band mates. I have to say that I really enjoyed the self-titled album released in 2006. Is there any chance for us to listen to a new Battered album in the future? As I’ve said in previous interviews, Battered is dead! I’d be surprised if that band would ever be resurrected. We had a great time doing it, but wasn’t anything special. Just something that needed to be done! This is a question that I usually ask musicians and I’d like to know your views on this. Music is part of our lives; some even say that it’s the soundtrack of our lives. And it helps us to go through hard phases, difficulties in life. Your music has surely helped me on stressful days. How do you feel when you get to know this? Have you been told this personally or not? First of all, I am flattered of course. As a music lover it’s easy to relate to the fact that music benefits your health. Yes, there has been people I’ve met through the years that has told me Einherjer has been an important factor when they’ve gone through some rough patches. I’m really glad some people find that kind of quality in our music too. And you personally, when it comes to music, what’s the driving force that motivates you to still create music? Do you feel that you’ve reached a point where you achieved all of your goals music wise? No, absolutely not. As you get older your view on a lot of things tend to change. At least for me it does. Music is no different! I don’t see how anyone can possibly achieve all their musical goals. And I’m not talking about money here. I’m talking about art. A question that I know is asked by most of the interviewers and I’m no exception when it comes to this one. What are you favorite activities outside music? Are you more of a family/ home guy or do you enjoy socializing more? Books, movies, any favorite beer, wine or whisky? Anything you’d like to share with us. I’m a family guy! I mean I love to travel and play for people, but home is where I really thrive. I have my own studio, Studio Borealis, just next door so I am close to everything I need. As usual, one of most of the Black Metal/ Viking Metal listeners’ dream is to visit Norway one day. I’d like to know, from a Norwegian perspective; the places and cities that anyone should visit that aren’t on the tourist’s guides, to escape from all the touristy places. The fjords of Rogaland and Hordaland is really hard to beat. If you’re lucky and catch the southwest of Norway on a nice sunny day, it’s really breathtaking. Again, Frode, thank you so much for this opportunity. It’s not something usual to interview one of your idols. I wish you, all your bands and your family as well all the best in the future. Do you have any last words for our listeners? My pleasure! 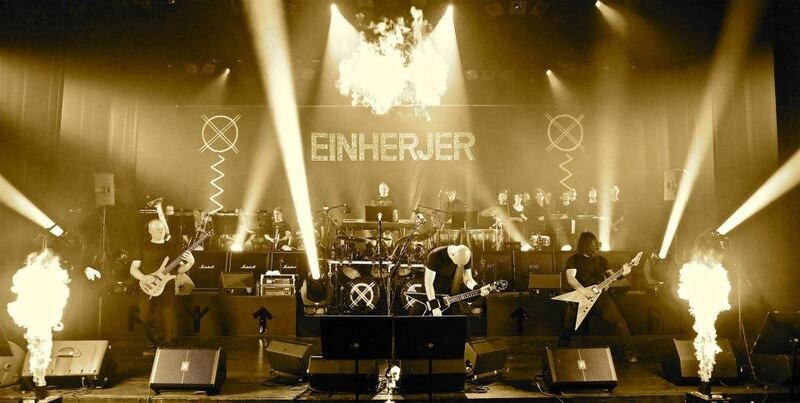 Check out the new EInherjer album “Av Oss For Oss”, it just a few weeks away. See you out there! !